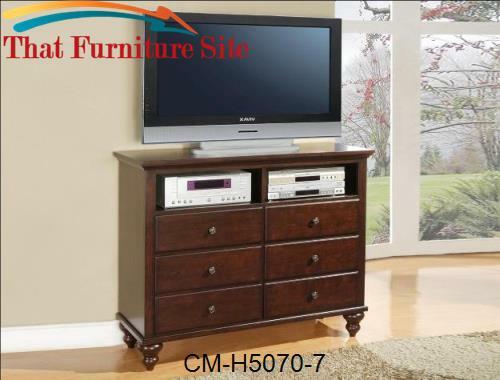 This sleek and sophisticated contemporary media console is just what you need to complete your living room or family room. 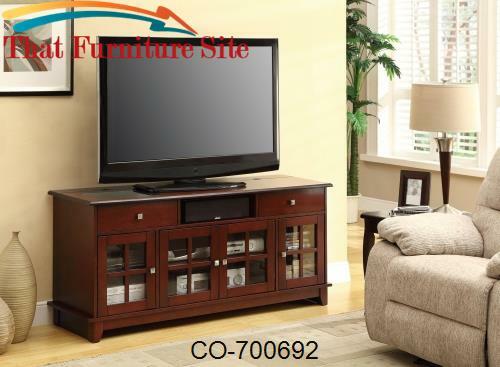 A generously sized glass top surface will accommodate your television, with a smooth Black metal frame and distinctive angled legs for support. 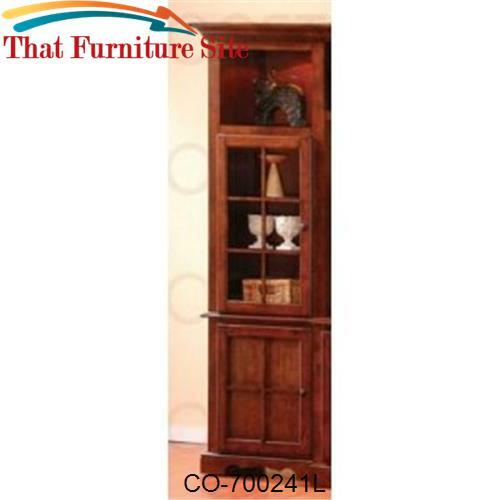 Two lower glass shelves offer storage of electronics components, movies, and other media items to meet your needs. 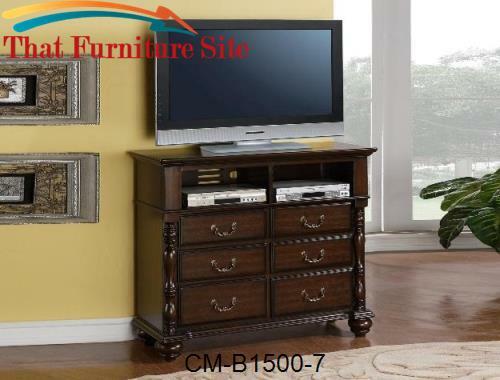 A metal support at the back, with a cord hole to keep you organized, completes this stylish unit. 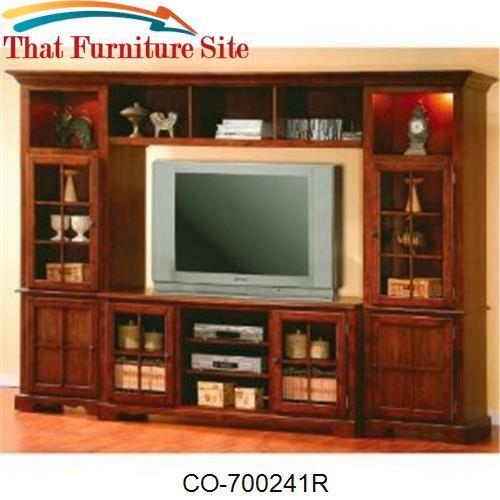 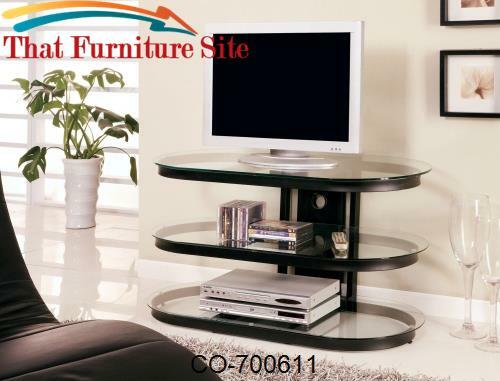 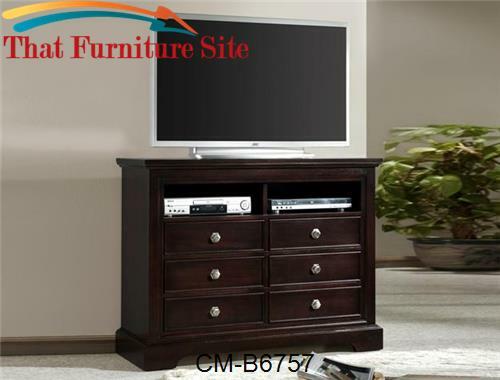 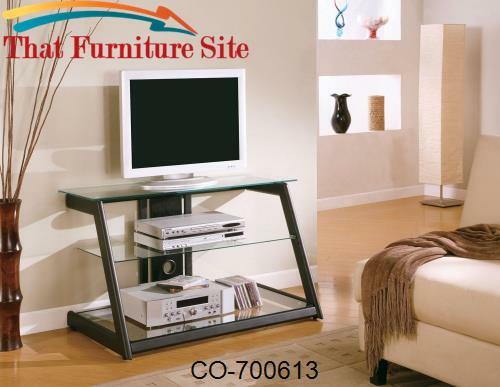 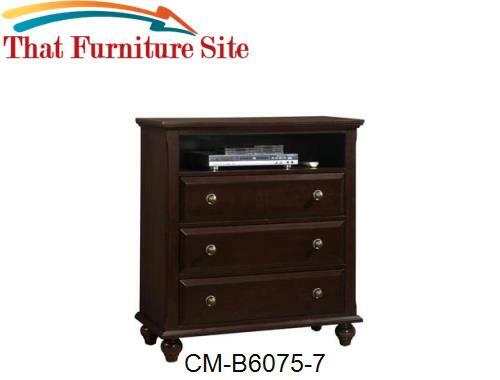 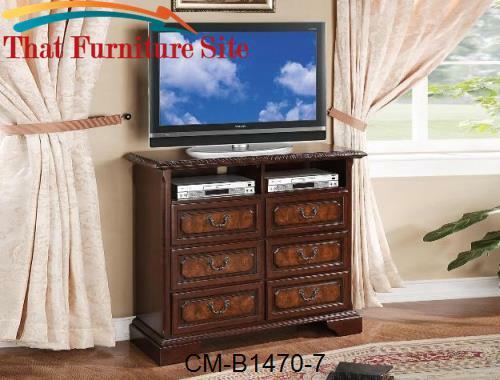 Add this TV stand to your home for a great completion to your ensemble.